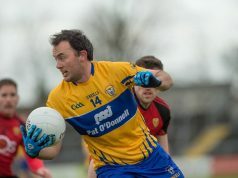 Clare let an excellent opportunity to collect an away win slip in their opening game of the Allianz National Football League Division 2 as they recorded a draw with Derry. 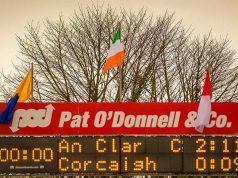 On the outset, Clare may have been pleased to earn a point before the throw-in but given how the contest proceeded they will feel somewhat disappointed that they not see out the win having taken the lead with seventy three minutes on the clock. Enda Lynn put Derry into an early two point lead with four minutes played. 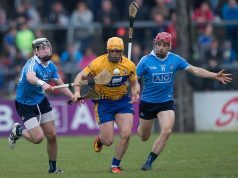 Ciarán Russell made his return to the Clare jersey for the first time since 2015 and the Éire Óg man wasn’t out of place kicking their first score on the sixth minute. They were back on level terms a minute later when Eoin Cleary converted a free. 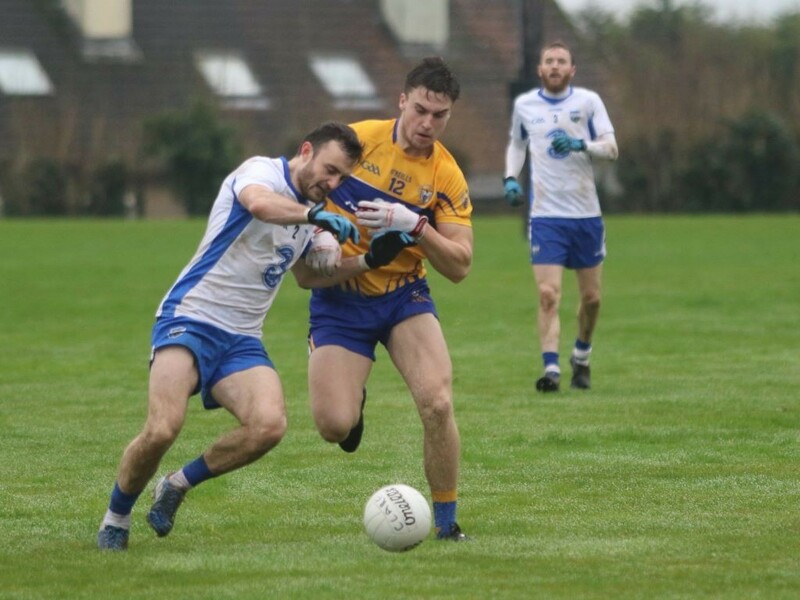 James Kielt and Carlus McWilliams put the hosts back in front only for Cratloe duo Liam Markham and Sean Collins to kick over efforts. Cleary and Kielt traded scores before a late McWilliams free gave Derry a one point advantage at the break. 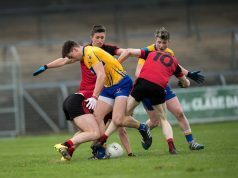 With the breeze at their backs it was hoped that Colm Collins’ men would carry forward their opening half display but they failed to add enough scores to build a substantial lead. It took eight minutes for the first score of the second half and it was worth waiting for as Jamie Malone finished off an excellent team move by palming the ball to the net. Gary Brennan, Eoin Clear and Sean Collins all linked up before a Keelan Sexton shimmy set Shane Brennan on his way and he drew the tackle before offloading to Malone who made no mistake from close range. 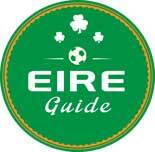 Derry replied with the next two scores via Niall Loughlin and Mark Lynch. 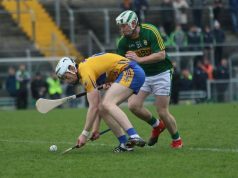 Eoin Cleary ended an eight minute scoring drought for Clare with a free and it would take them almost fifteen minutes to register their next score, that coming from David Tubridy. In the interval, Loughlin cut away at the lead with another white flag. 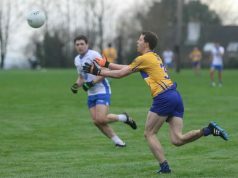 Captain Enda Lynn equalised for the hosts on the seventy second minute but in the next attack, Clare regained the lead with Ciarán Russell powering on to a Gary Brennan pass to split the posts and leave the smallest of margins between the sides. That margin was blown away when a Niall Loughlin free bounced over the crossbar to leave it all square at Niall Cullen’s final whistle, one that didn’t seem like it was going to blow until the Ulster county were back on level terms. 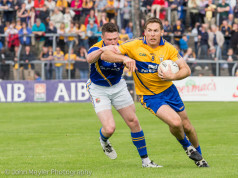 Over the course of the game, Clare had a total of thirteen wides, a figure that they cannot afford to have if they want to be progressing in Division 2. Similarly in the forty minutes of the second half they only added four scores which works out as a score every ten minutes which isn’t going to win games. Two glorious goal chances were also spurned so they must become more clinical as the season progresses. As always, the Banner’s footballers worked extremely hard, Martin McMahon being a fine example of this bursting out from corner back on several occasions. The Kilmurry Ibrickane man was one of three Clare players given a black card, his was for an incident involving Carlus McWilliams yet the Derry man escaped with a yellow card. 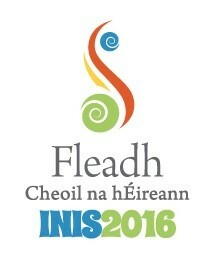 Along with McMahon, Gary Brennan, Ciarán Russell and Liam Markham did well. A positive for Colm Collins’ side is that three players made their National League debut showing there is talent coming through the ranks. All involved will know they can work on this outing but unfortunately they can do nothing about home team’s being favoured and it is becoming apparent that the GAA need to appoint referees from outside the host county’s province for National Football League games. 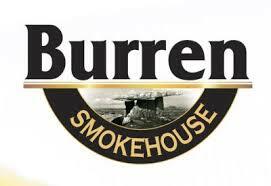 Damien Barton’s Derry will be relieved with the result. They should have pushed further ahead in the opening half but were never let create a substantial gap. Around the middle of the field they tackled extremely hard and made their opponents work for every ounce. They were denied at least three goals by Joe Hayes during the course of the game. With the Slaughtneill players to return, Barton will know what is available to him but in their absence he will be keen to add as many points as possible in their NFL campaign.